ONCE GONE, GONE FOREVER Habib Girls’ School. 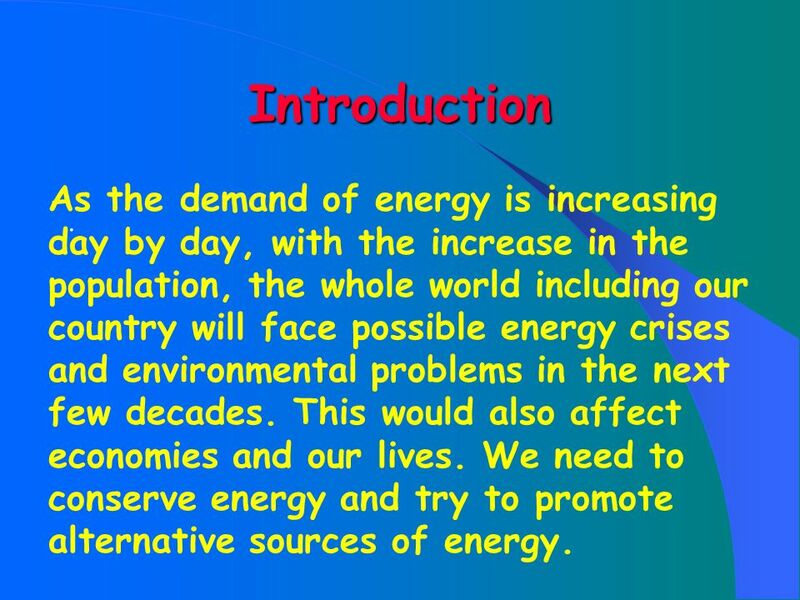 3 Introduction As the demand of energy is increasing day by day, with the increase in the population, the whole world including our country will face possible energy crises and environmental problems in the next few decades. This would also affect economies and our lives. 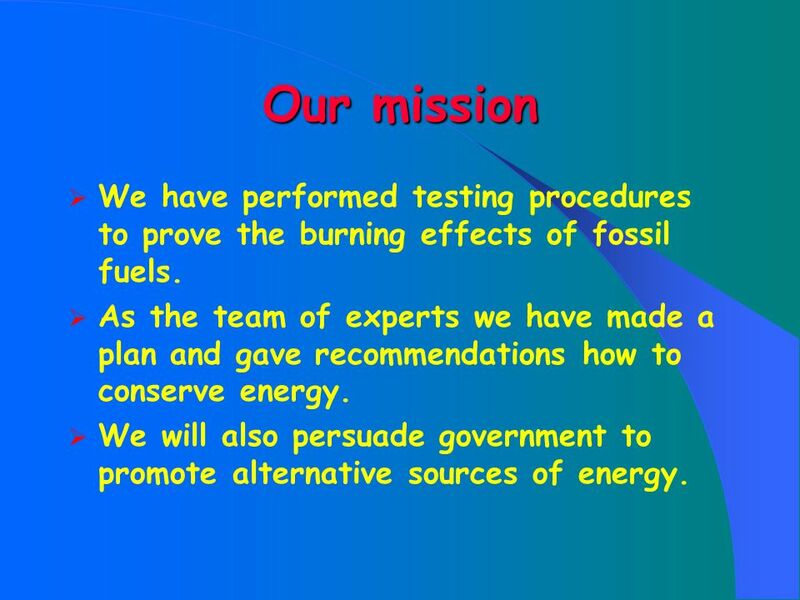 We need to conserve energy and try to promote alternative sources of energy. .
4 Our mission We have performed testing procedures to prove the burning effects of fossil fuels. 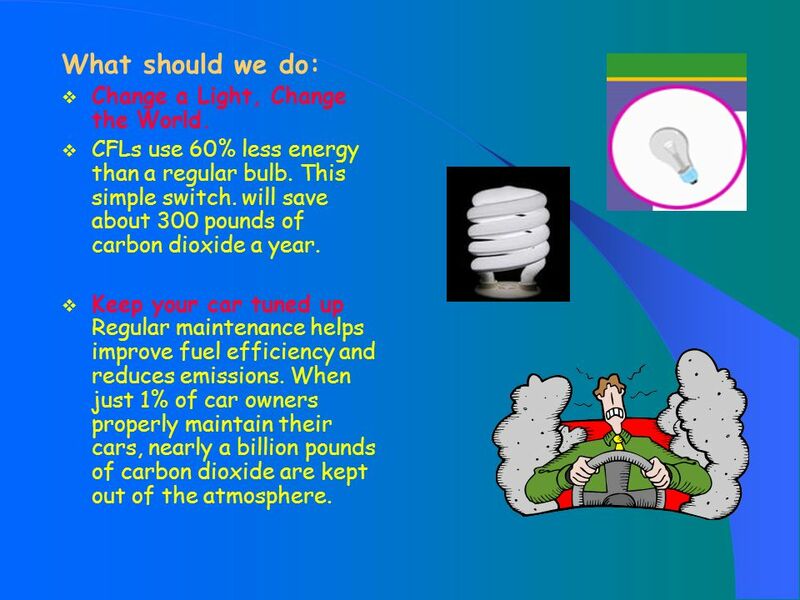 As the team of experts we have made a plan and gave recommendations how to conserve energy. 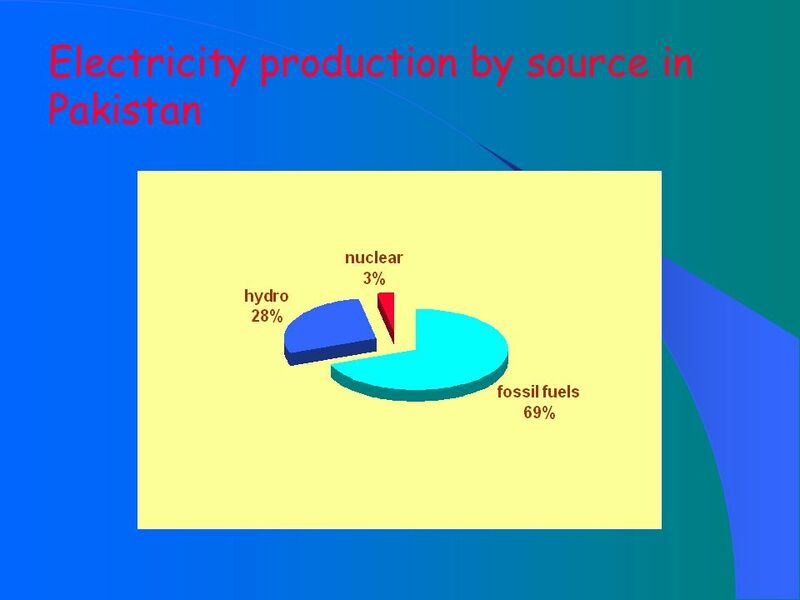 We will also persuade government to promote alternative sources of energy. 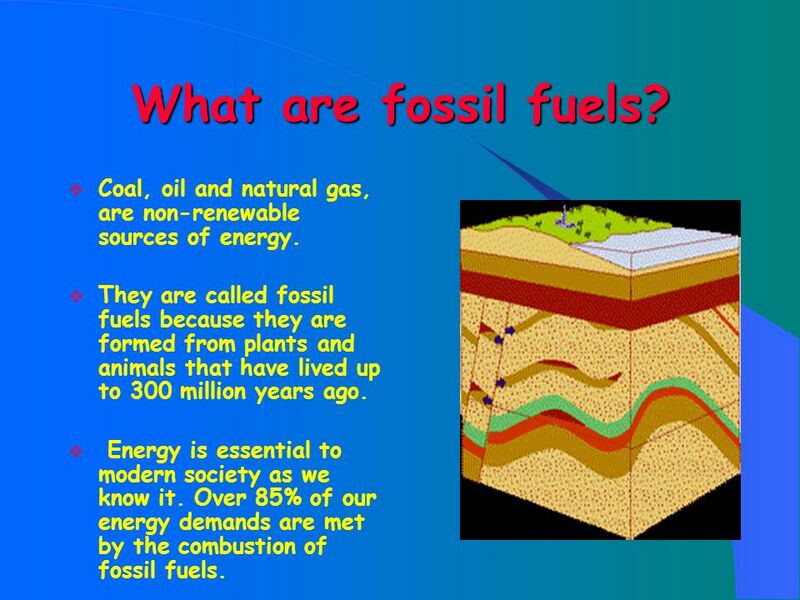 5 What are fossil fuels? Coal, oil and natural gas, are non-renewable sources of energy. 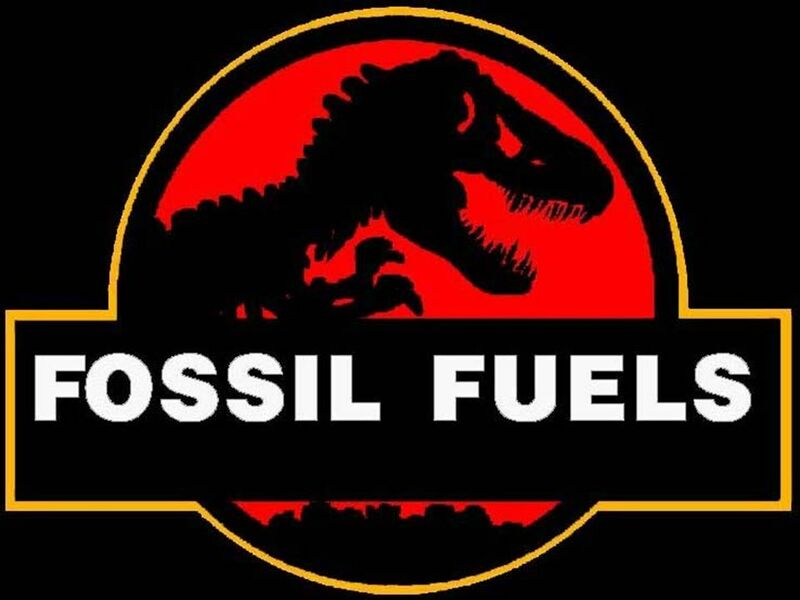 They are called fossil fuels because they are formed from plants and animals that have lived up to 300 million years ago. Energy is essential to modern society as we know it. Over 85% of our energy demands are met by the combustion of fossil fuels. 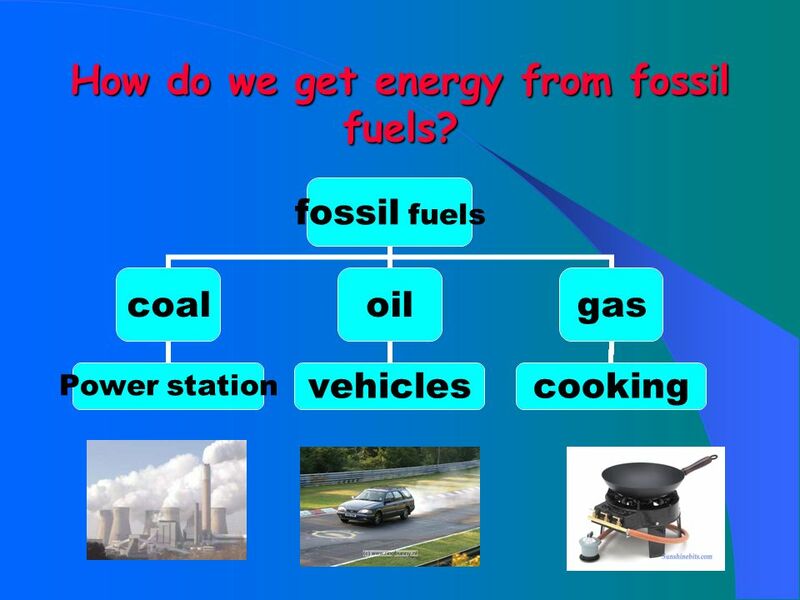 6 How do we get energy from fossil fuels? 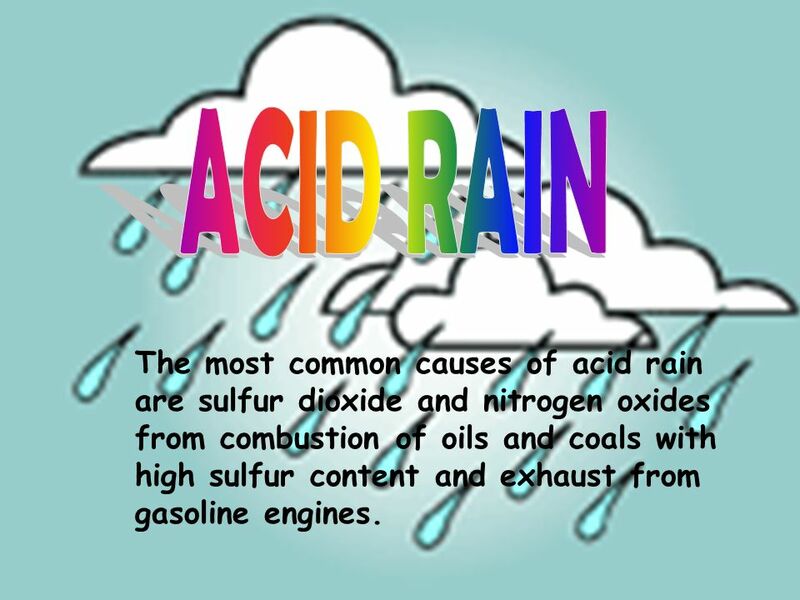 12 ACID RAIN The most common causes of acid rain are sulfur dioxide and nitrogen oxides from combustion of oils and coals with high sulfur content and exhaust from gasoline engines. Forests all over the world are dying, fishes are dying. 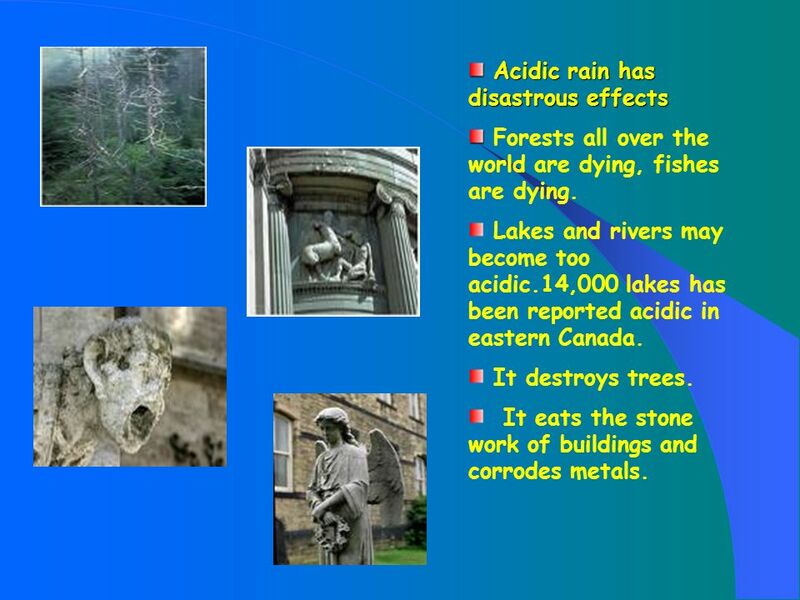 Lakes and rivers may become too acidic.14,000 lakes has been reported acidic in eastern Canada. It destroys trees. It eats the stone work of buildings and corrodes metals. 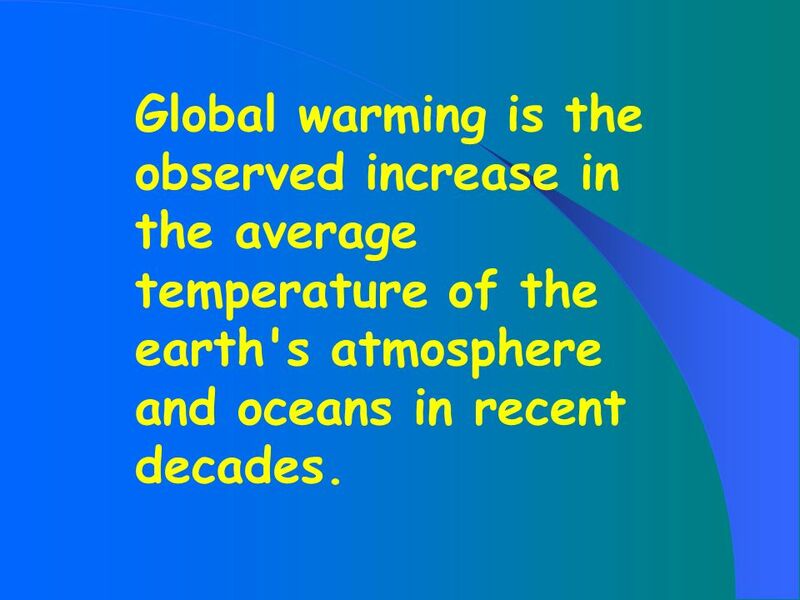 16 Global warming is the observed increase in the average temperature of the earth's atmosphere and oceans in recent decades. 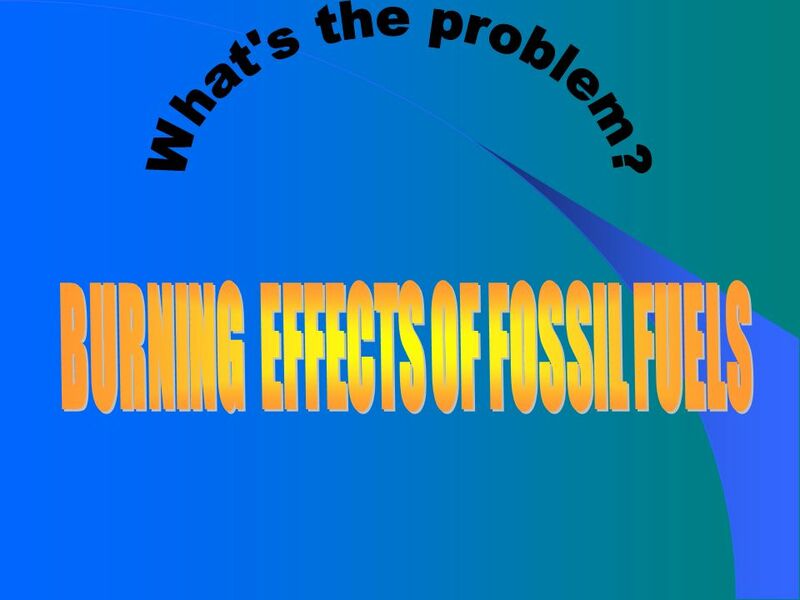 17 Burning of fossil fuels is one of the major cause of increasing global temperature. 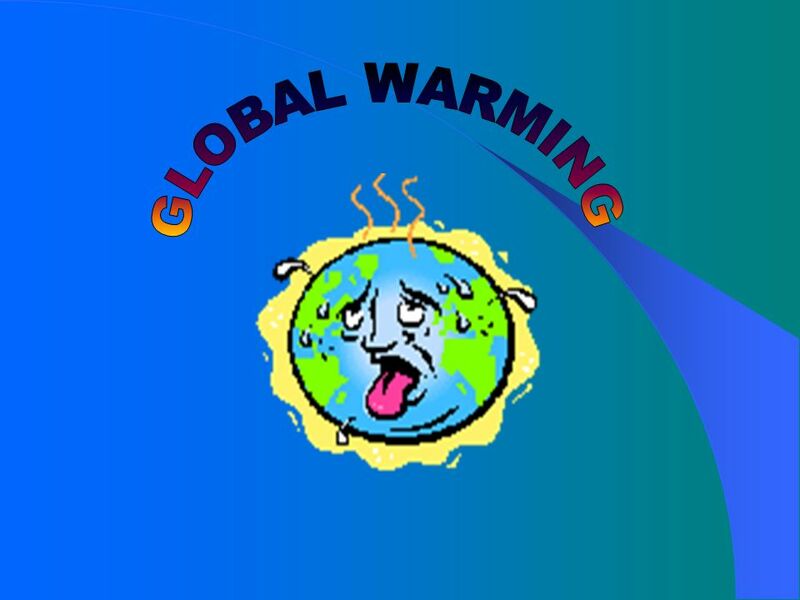 Undesirable results of global warming include drastic changes in climate and rising in sea levels due to the expansion of sea waters and the melting of the ice caps. 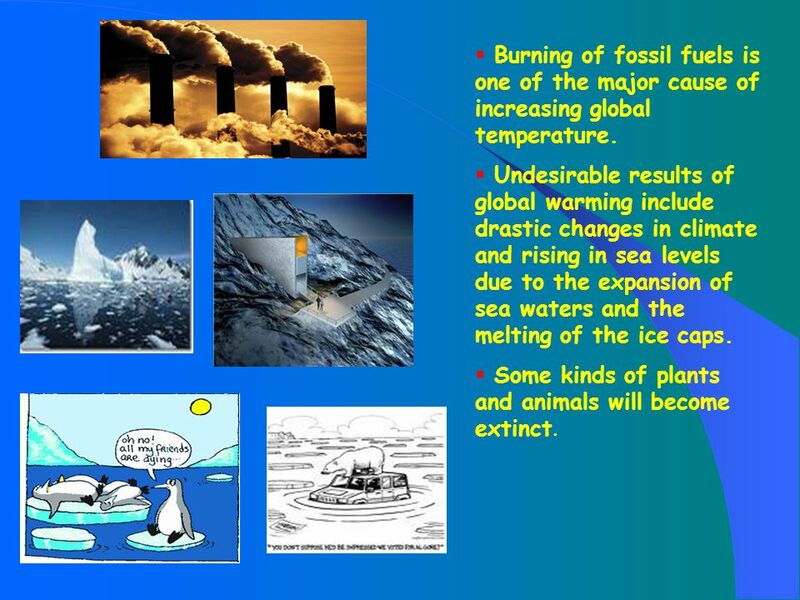 Some kinds of plants and animals will become extinct. 20 Testing of rain water We collected rain water from different areas. We checked their acidity by using pH scale. We compared their values with pure water and normal rain water. 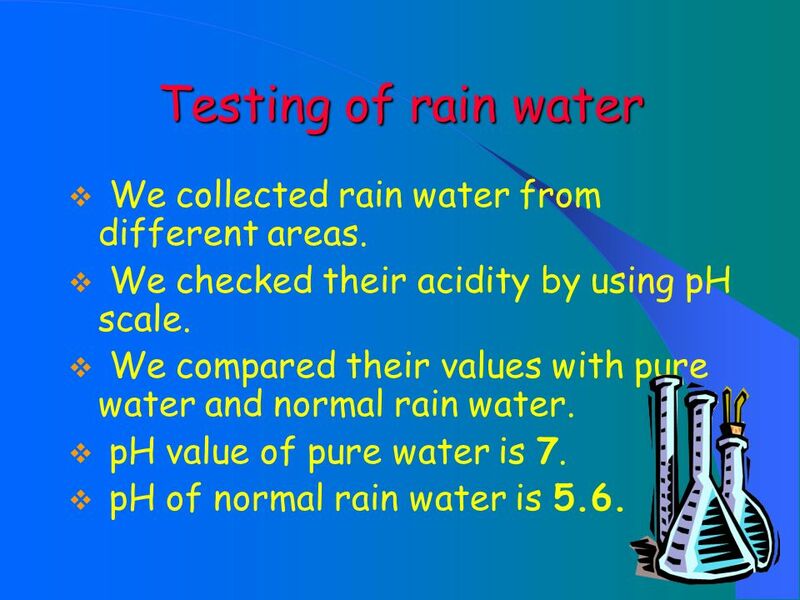 pH value of pure water is 7. pH of normal rain water is 5.6. 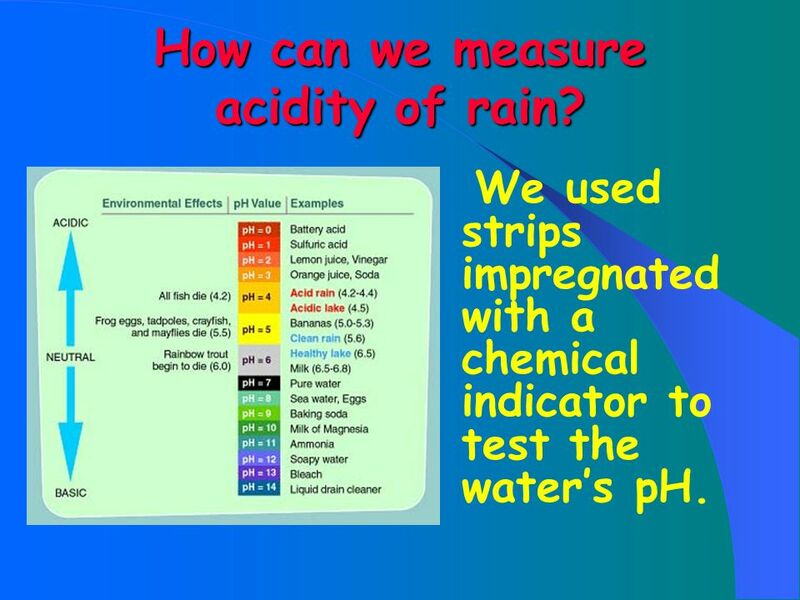 21 How can we measure acidity of rain? We used strips impregnated with a chemical indicator to test the water’s pH. 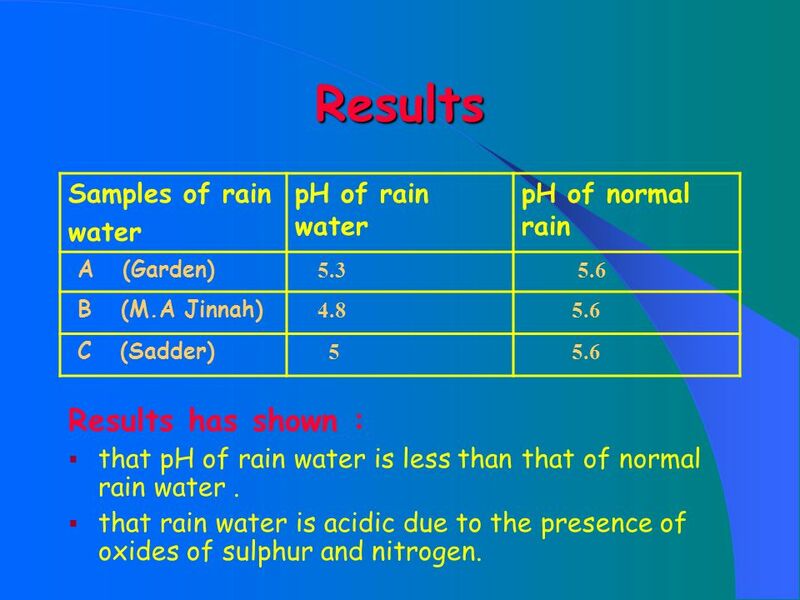 pH of normal rain A (Garden) 5.3 5.6 B (M.A Jinnah) 4.8 C (Sadder) 5 Results has shown : that pH of rain water is less than that of normal rain water . that rain water is acidic due to the presence of oxides of sulphur and nitrogen. 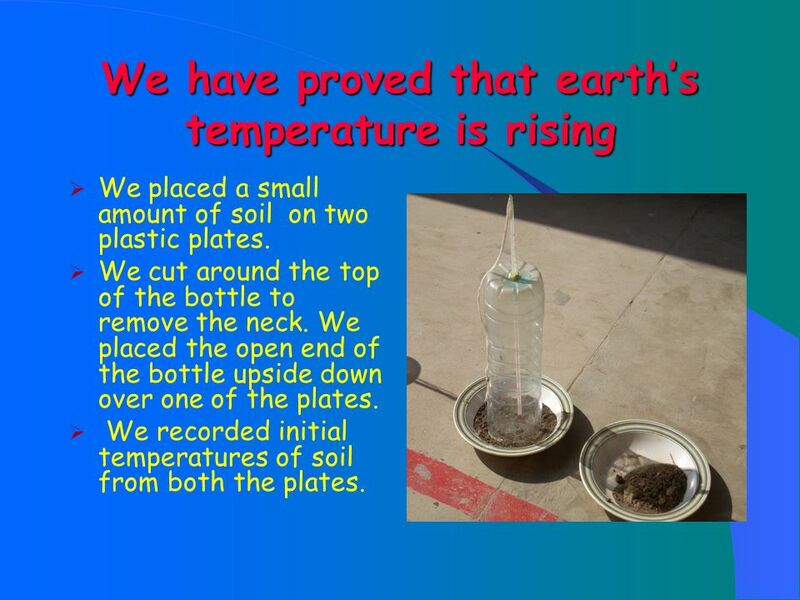 We placed a small amount of soil on two plastic plates. We cut around the top of the bottle to remove the neck. We placed the open end of the bottle upside down over one of the plates. We recorded initial temperatures of soil from both the plates. 24 We put both plates outside in the sunlight and left for at least 30 minutes. We placed one thermometer in our plastic bottle mini greenhouse, and placed the other thermometer on the open plate of soil . 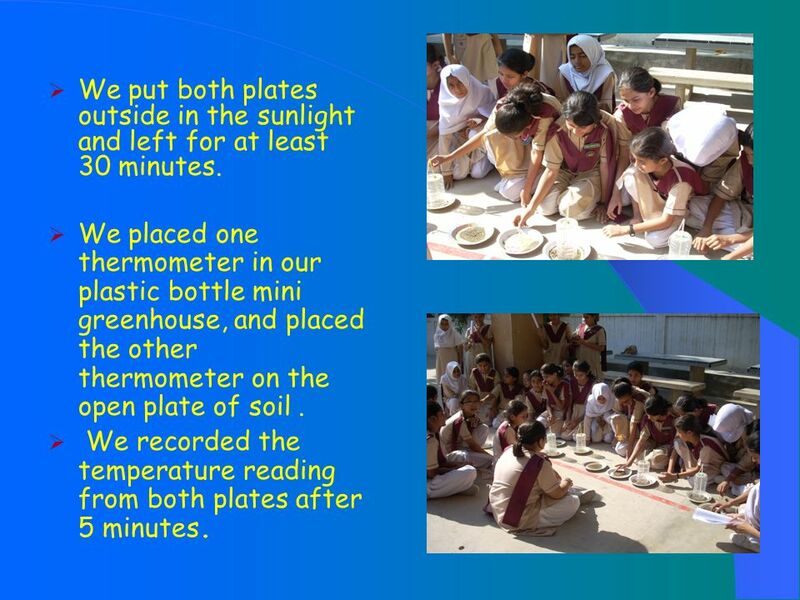 We recorded the temperature reading from both plates after 5 minutes. Initial temp 26 oC 28 oC Final temp 36 oC 42 oC Temp. 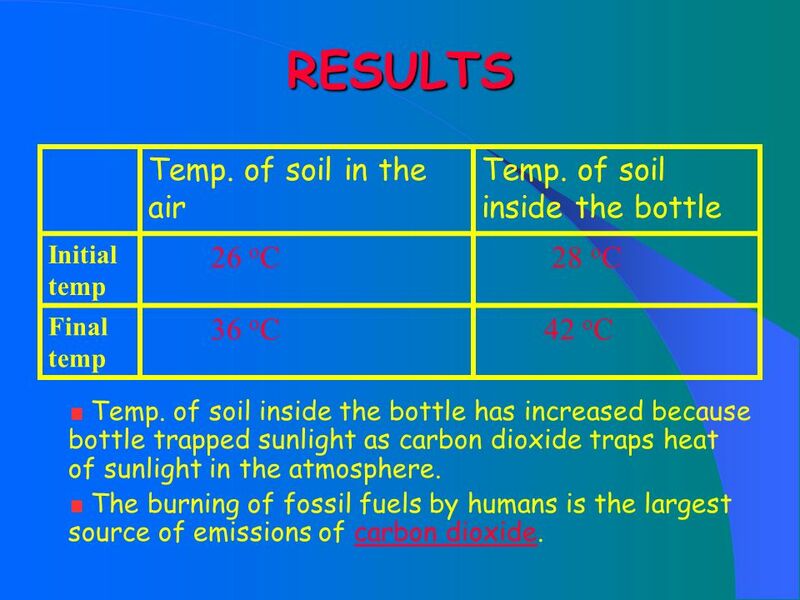 of soil inside the bottle has increased because bottle trapped sunlight as carbon dioxide traps heat of sunlight in the atmosphere. 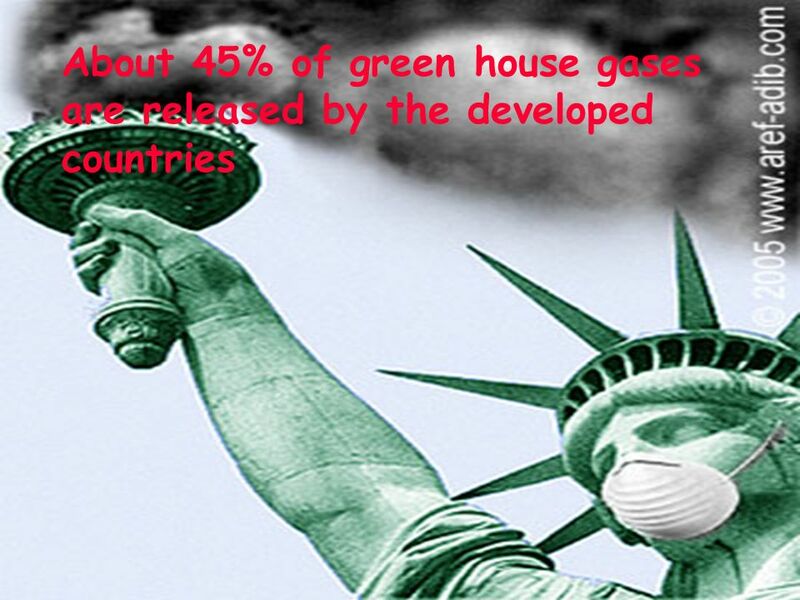 The burning of fossil fuels by humans is the largest source of emissions of carbon dioxide. 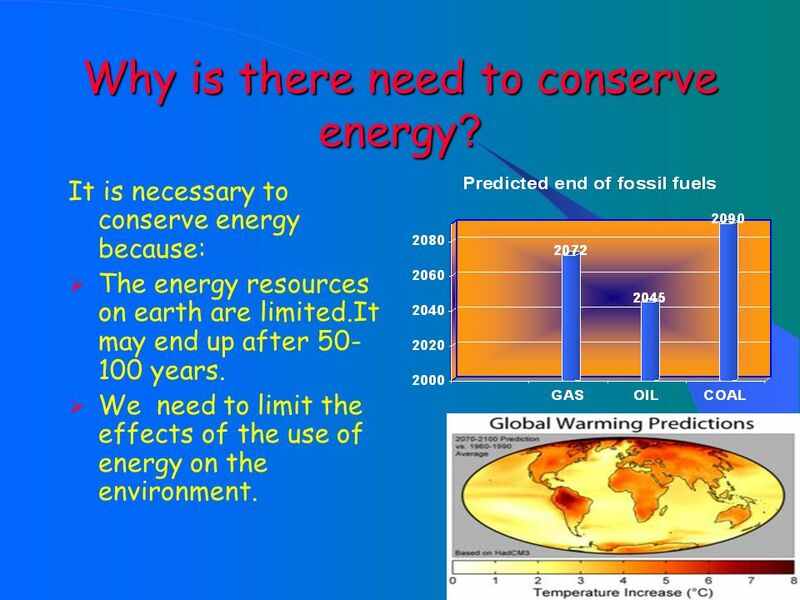 27 Why is there need to conserve energy? 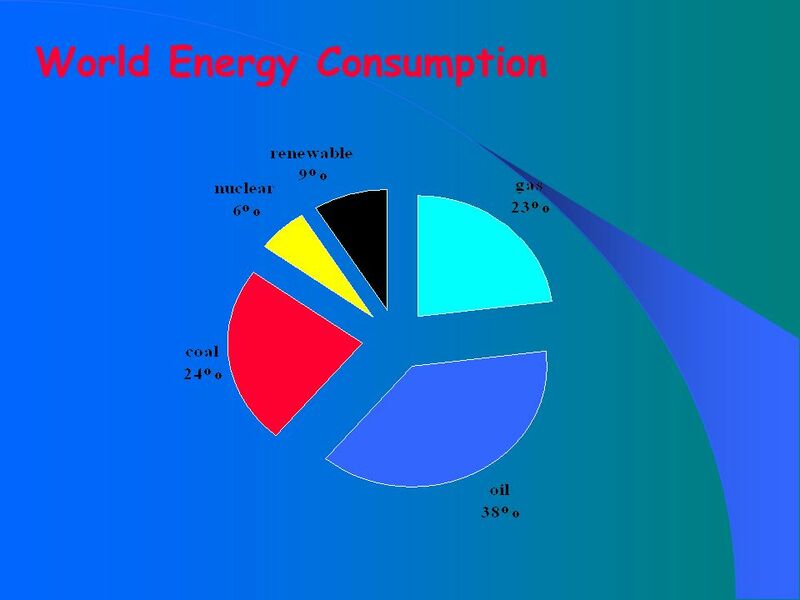 It is necessary to conserve energy because: The energy resources on earth are limited.It may end up after years. We need to limit the effects of the use of energy on the environment. 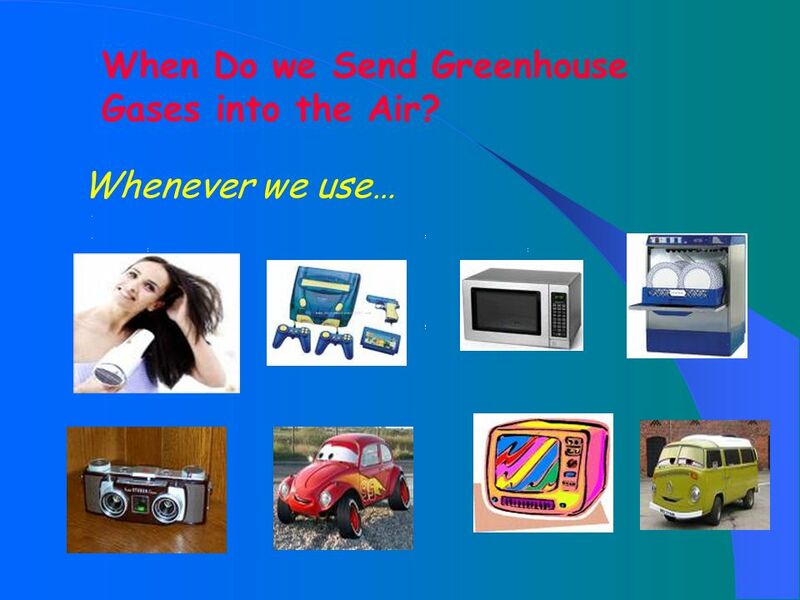 28 When Do we Send Greenhouse Gases into the Air? 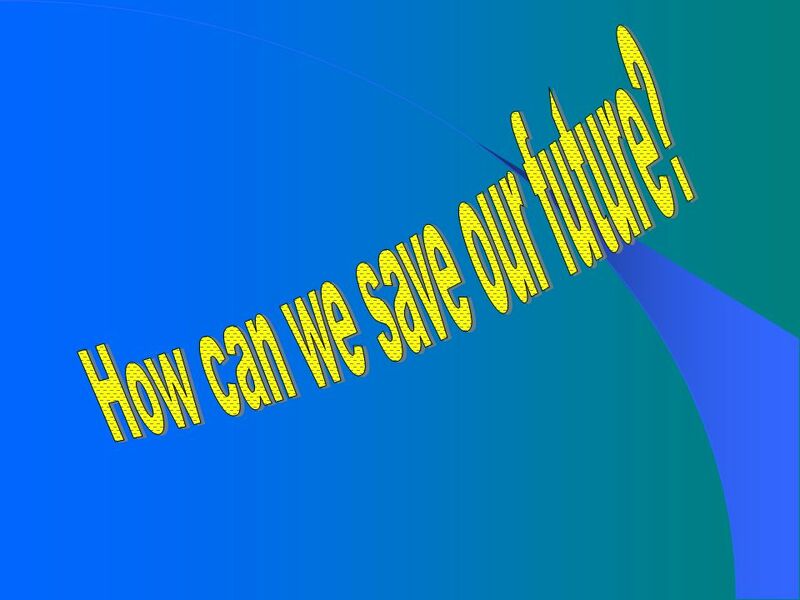 29 How can we save our future? 31 What should we do: Change a Light, Change the World. CFLs use 60% less energy than a regular bulb. This simple switch. will save about 300 pounds of carbon dioxide a year. Keep your car tuned up Regular maintenance helps improve fuel efficiency and reduces emissions. When just 1% of car owners properly maintain their cars, nearly a billion pounds of carbon dioxide are kept out of the atmosphere. 32 Plant a tree A single tree will absorb one ton of carbon dioxide over its lifetime. Remember your three Rs! Reduce, reuse, recycle. 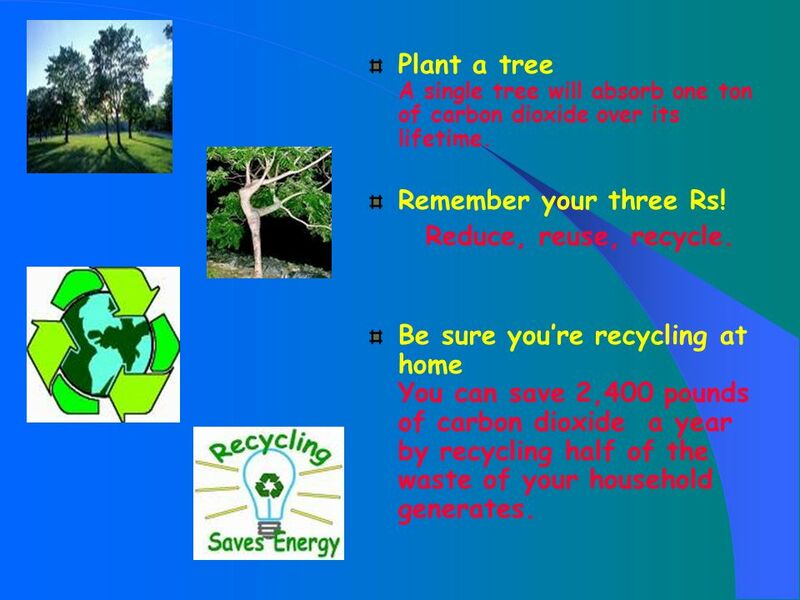 Be sure you’re recycling at home You can save 2,400 pounds of carbon dioxide a year by recycling half of the waste of your household generates. 33 When it is hot wear cold and when it is cold wear hot. 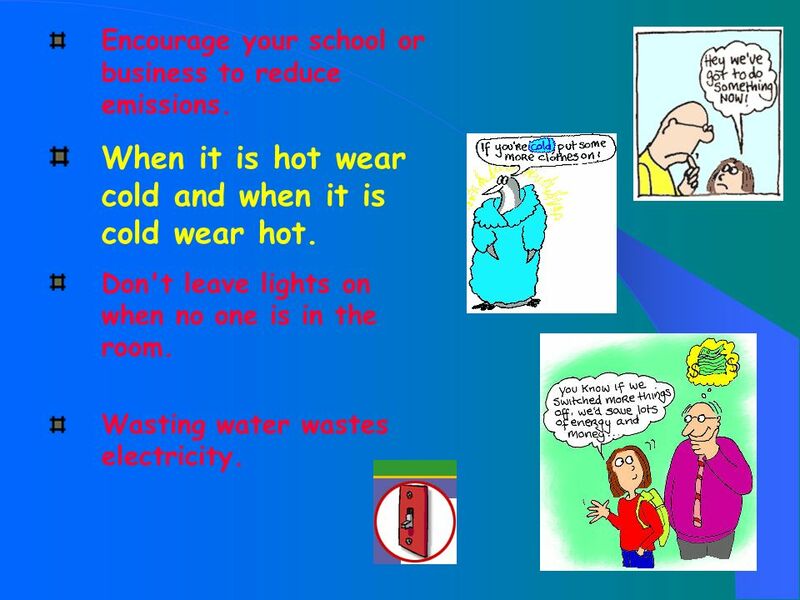 Encourage your school or business to reduce emissions. When it is hot wear cold and when it is cold wear hot. Don't leave lights on when no one is in the room. Wasting water wastes electricity. 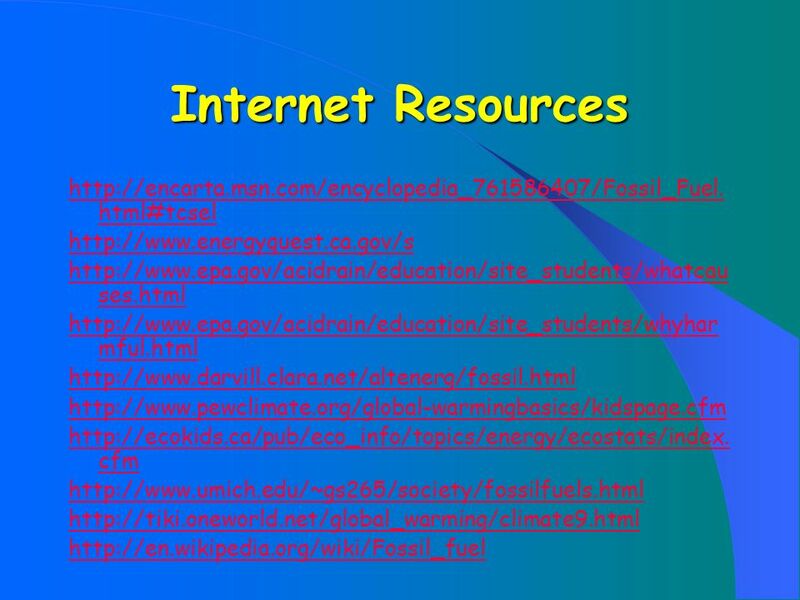 Promote alternative sources of energy. 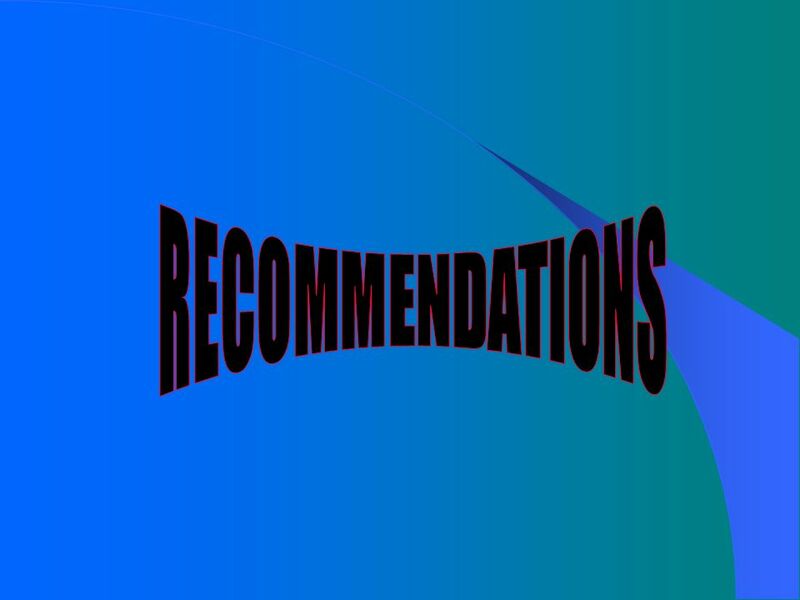 Instructions should be written on notice boards in offices to turn off lights when leaving. 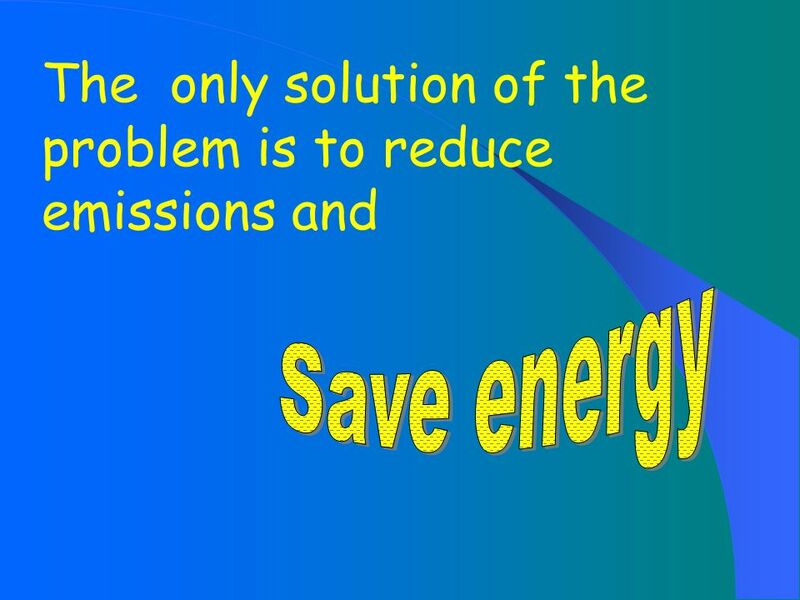 NGO’s should arrange workshops to aware people how to save energy. 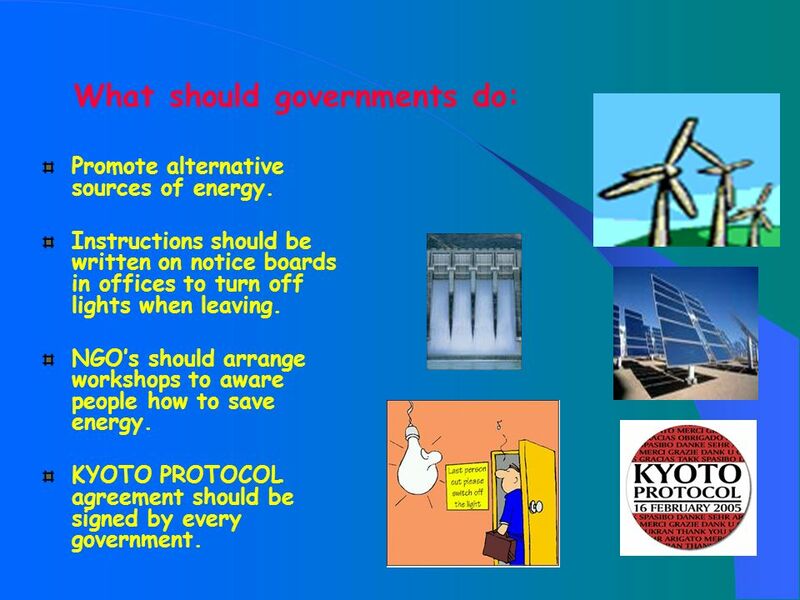 KYOTO PROTOCOL agreement should be signed by every government. 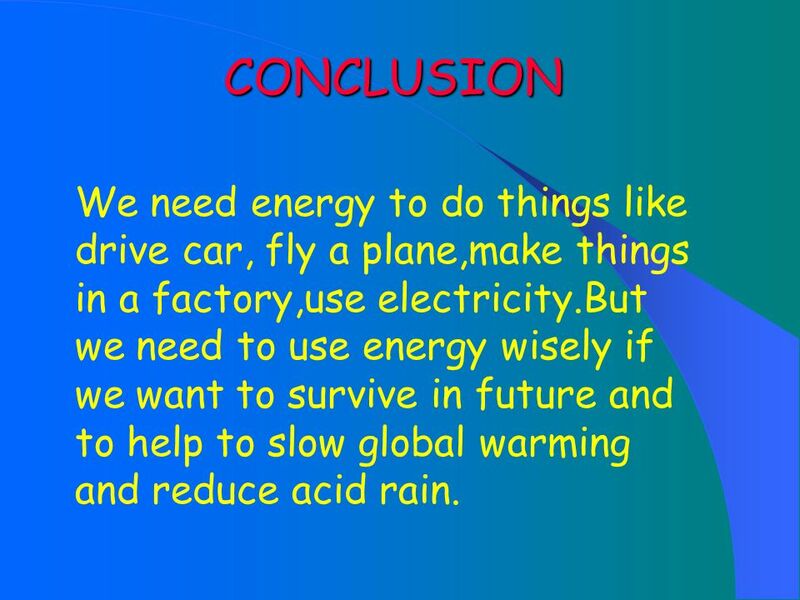 35 CONCLUSION We need energy to do things like drive car, fly a plane,make things in a factory,use electricity.But we need to use energy wisely if we want to survive in future and to help to slow global warming and reduce acid rain. 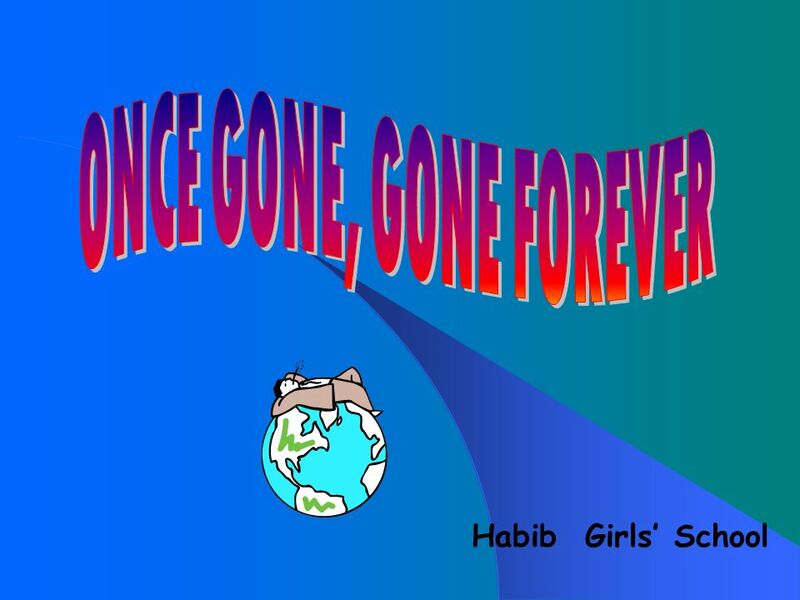 Download ppt "ONCE GONE, GONE FOREVER Habib Girls’ School." The Greenhouse Effect. On a hot day a car is left outside in the sun with all the windows wound up. After an hour or so a person opens the door and gets. Environmental Chemistry. Soil Most of the Earth is covered by a layer of soil. What is soil made of? 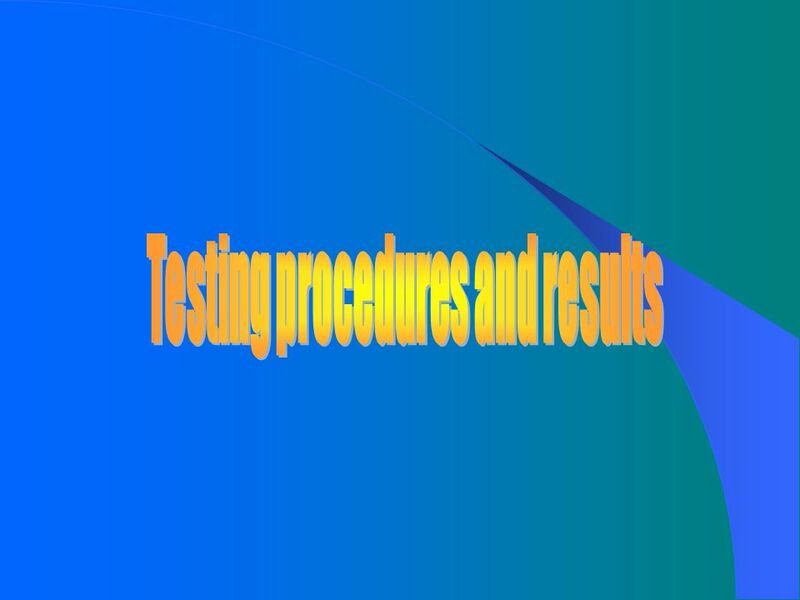 1) Small fragments of ____ 2) Living and dead vegetation. Air is an important natural resource. 3 Air pollution p.268. 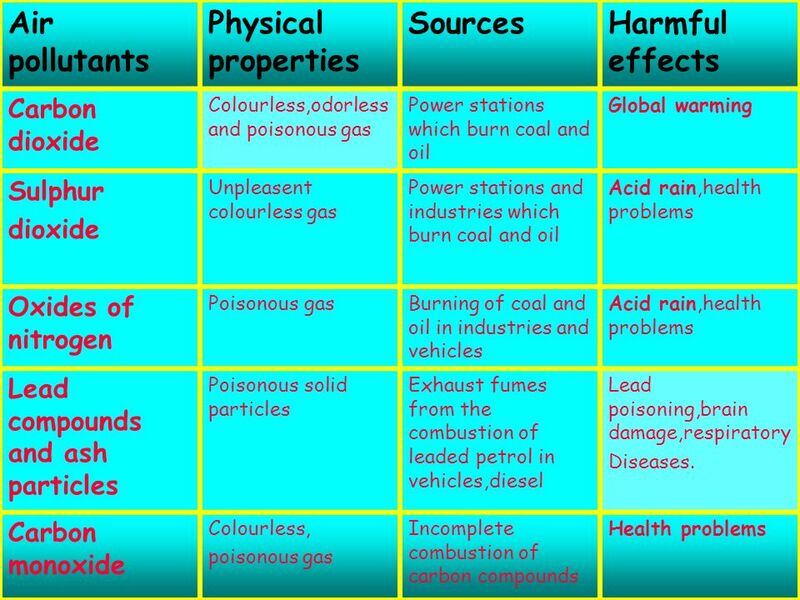 Objectives Students should learn: that air can be polluted with smoke and gases, such as sulfur dioxide, which contributes to acid. 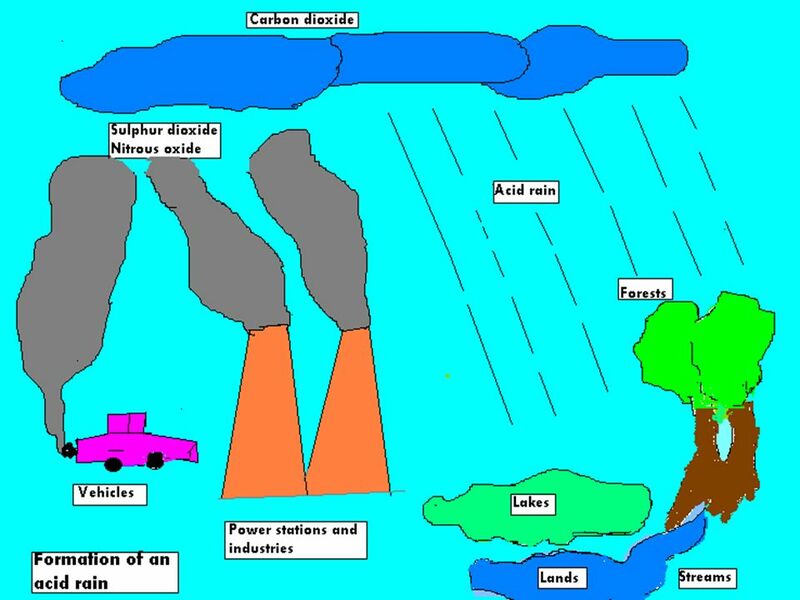 4.3: Air pollution by Emily and Josh. 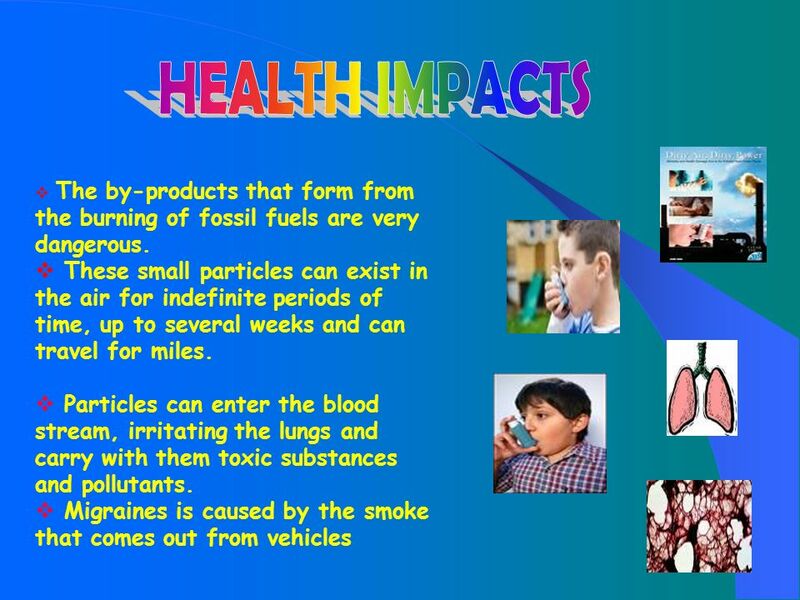 Objectives Students should learn: that air can be polluted with smoke and gases, such as sulfur dioxide, which contributes.